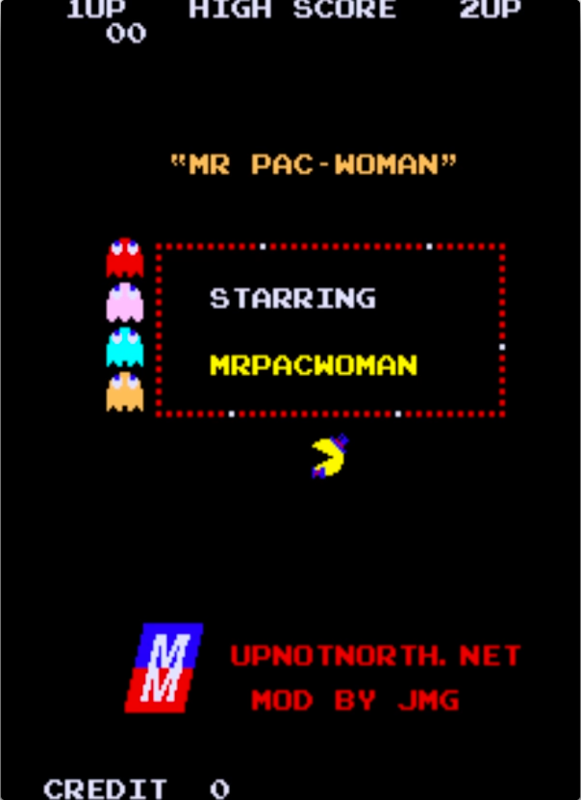 The Pac-Man to Pac-Woman hack is simple: this is the only place where the name appears! 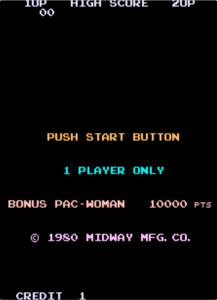 I can’t make the full ROMs available for legal reasons, but here are patches for your own legally-obtained ROMs (patching instructions included). If you know of an easier/better way to let others play these, please let me know! 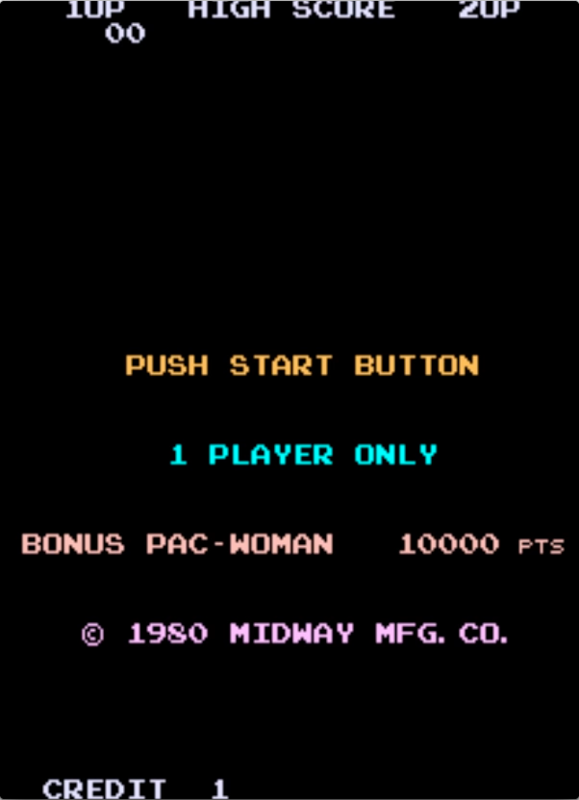 Also, if any artists out there want to make Pac-Woman and/or Mr. Pac-Woman cabinet art, get in touch and I’d seriously consider building physical cabinets for these. Keep reading for screenshots and information on how I made the changes. 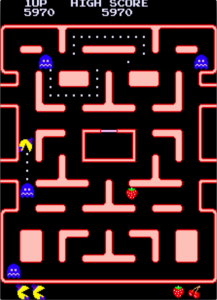 My quick Google research only turned up very old DOS-based programs for editing Pac-Man ROMs, Turaco and its predecessor Arcade Game/Graphucs Editor (A.G.E.). Fortunately, the programs are still available to download. 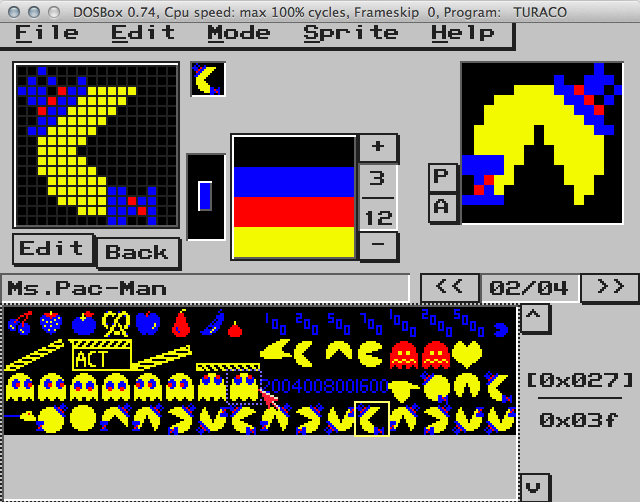 I was able to run them on my Mac using the free DOSBox emulator; it didn’t work initially, but some searching turned up the solution, which was to add this executable to the same directory. I used Turaco to edit the sprites and A.G.E. to edit the text. 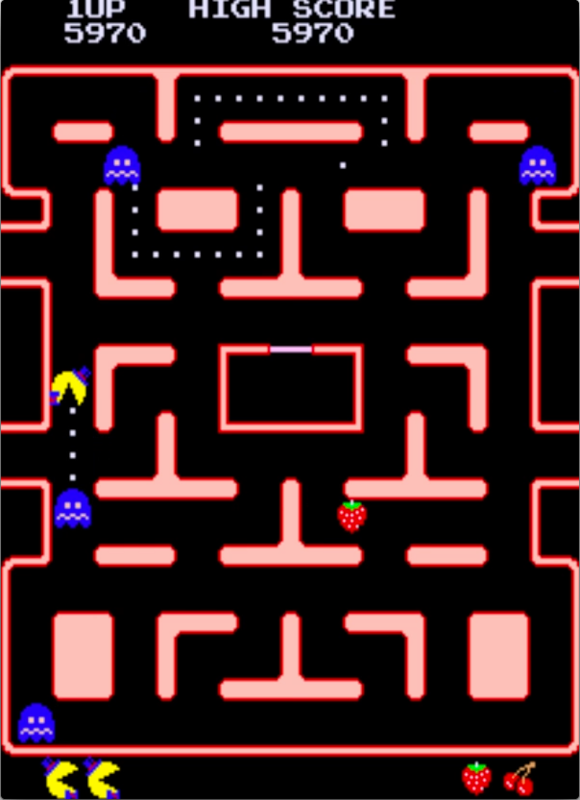 The patches are made for bspatch, a free binary patching utility. Turaco includes patching ability, but I don’t want people to have to go to the trouble of using a DOS emulator. The awesomeness of this can not be overstated! I hadn’t thought about R2-D2’s gender, yet had automatically assumed the little robot was somehow masculine. (It has blue bits on it?!) Amazing how pervasive and insidious these little assumptions are. I think maybe child raising is one of the main arenas where you do have to deliberately rethink and reevaluate those assumptions, trying to see things from the ‘blank slate’ perspective of your child. To be fair, C-3PO consistently uses male pronouns to refer to R2-D2 (When Luke remarks that R2 will get him in a lot of trouble, 3PO answers “Oh, HE excels at that”). While both droids are obviously neutral, I think its that use of language, rather than the blue bits, that makes us think of him as male. As to the mods, they are awesome indeed. 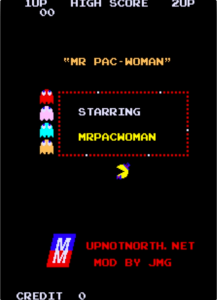 Aside from the subverting the trope, I have to say that Mr. Pacwoman is rockin’ that to phat (And we all know bowties are cool). Dear God, spacing is important. That is “top hat”, NOT “to phat”. I honestly assumed that was just some new slang that I’d never heard before. But why does he have to use male pronouns? Why not have the robots referred to as “it”? Or not use pronouns at all? A writer made the choice, either consciously or not, that the droids should be male. Glad you like the mods! Thanks! I love that AfterEllen found and linked to it!